Tall stalks bear multiple rows of tubular blooms that would certainly be most stylish on the paws of any properly dressed-for-tea fox! 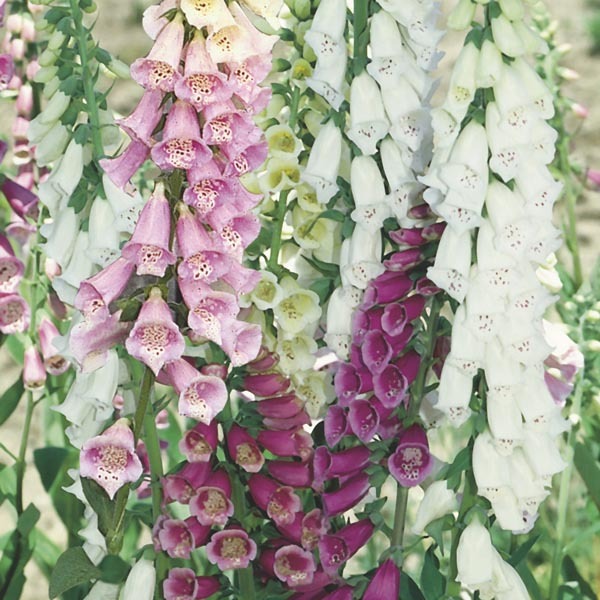 Foxgloves are equally eye-catching and stylish in the garden, providing height, vertical interest and a good range of colors. 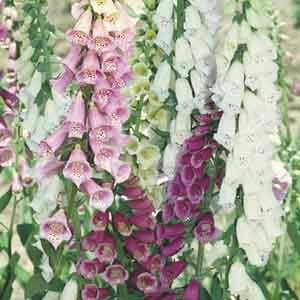 The perfect choice for beds and borders. Especially nice in woodland gardens. Perfectly suited to informal, naturalized settings. Terrific plant for hummingbird gardens. Adapts to most soil types. Best in fertile, well-drained soil. Will tolerate sunnier aspects if given ample water. Deadhead to prevent self-seeding.